La Tania is a beautiful, friendly resort set in the midst of a pine forest in the very heart of The Three Valleys Ski Area giving easy access to over 600 km of Pistes. The resort is designed to be pedestrian friendly with the centre of resort being completely car free. This expansive area with 198 lifts and 1437 snow cannons provides plenty of opportunities for every level of skier including extensive Off Piste skiing opportunities. The blue piste "Les Folyeres" through the woods back into La Tania now has extensive snow cannon facilities ensuring that you can ski back to resort throughout the season. We've partnered with Ongosa, who recommend and book the best snowsports instructors and guides in La Tania for you. There are fewer than a dozen places to eat in La Tania but they range from a tiny take-out to an internationally recognised gourmet award-winning establishment. There is however a limited range of grocery shops. If you're self-catering, you might like to take the free shuttle to neighbouring resorts for more choices. There's a real community feeling in La Tania and it's still small enough for everyone to know everyone. It's often called a small family resort which could put some people off - however there's a lot more to it and the night-life can really kick off with live music most nights and plenty of parties to keep most night owls happy, while night clubs until 5am can be found in Méribel and Courchevel for the truly dedicated. There is live music most nights somewhere in the resort along with drinks promotions, Après-Ski happy hours, TV sport and theme night parties taking place throughout the ski season. La Tania isn’t just about the Winter! Although so much quieter than in Winter, La Tania boasts an outdoor swimming pool, tennis court, beach volley ball court, basketball court, boules pitches, downhill mountain bike tracks, table tennis tables and the most glorious views of the mountains. In the surrounding area you've got Paragliding, hiking, Via Ferrata rock climbing, white water rafting, hydro speeding, tubing, mountain scooters & e-biking, fishing, yoga, horse riding, canyoning, quad biking, paint balling, hot air ballooning, off road motorcycling, archery, clay pigeon shooting, roller blading, nerf camp, bubble football, water zorbing, zip lines, paddle boarding, segways and road cycling. There's golf in Courchevel (9 holes next to the Biollay lift) & Méribel Golf Course (full 18 hole course above the Altiport) and wake boarding & water skiing in Annecy (but wake boarding in Le Praz now too!) or just hang out and sunbathe in the beautiful scenery and fresh air of the mountains. [short_description] => Chalets Toubkal One & Two Sleep 6 or 6/7 Ski in ski out with a sauna. 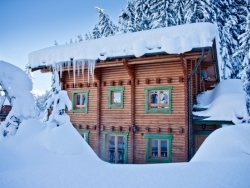 [short_description] => Beautiful premium service catered chalet with hot-tub and en-suite rooms. Sleeps up to 8 or 16 in both wings. [short_description] => Chalet Baikal 1 is a charming log cabin style chalet located 50 metres from the piste. 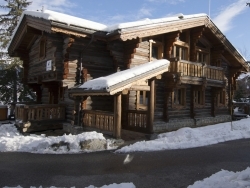 Chalet Baikal 1 is a charming log cabin style chalet located 50 metres from the piste. [short_description] => Self-cater in style with Alpine Escape. 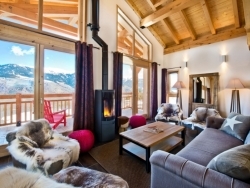 Direct access to the piste and lift station, with 24 hour concierge service. Self-cater in style with Alpine Escape. 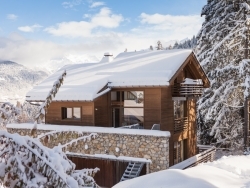 Direct access to the piste and lift station, with 24 hour concierge service. 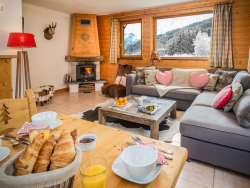 [short_description] => A warm and welcoming mountain retreat close to the village and slopes of La Tania, sleeping up to 8 guests. [short_description] => Centrally situated for the village, gondola and ski school meeting places in La Tania, Chalet Matisse Haut is just a snowball’s throw from the piste. 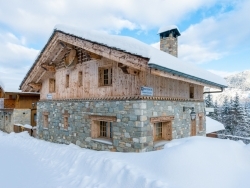 Centrally situated for the village, gondola and ski school meeting places in La Tania, Chalet Matisse Haut is just a snowball’s throw from the piste. [short_description] => Chalet Chocolat is superbly located in the heart of the old village, and is just 50m to the piste and lifts. 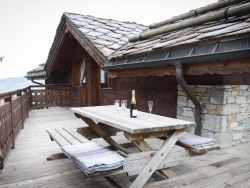 Chalet Chocolat is superbly located in the heart of the old village, and is just 50m to the piste and lifts. [short_description] => Chalet Baikal is a charming log cabin style chalet located 50 metres from the piste. 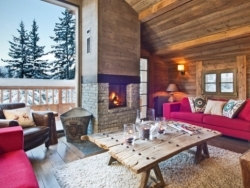 Chalet Baikal is a charming log cabin style chalet located 50 metres from the piste.